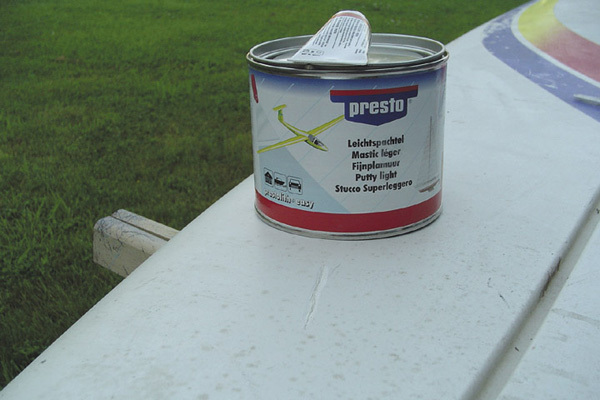 prestolith easy light filler adjusts to the elasticity of the plastic, ensuring long-lasting and safe adhesion. 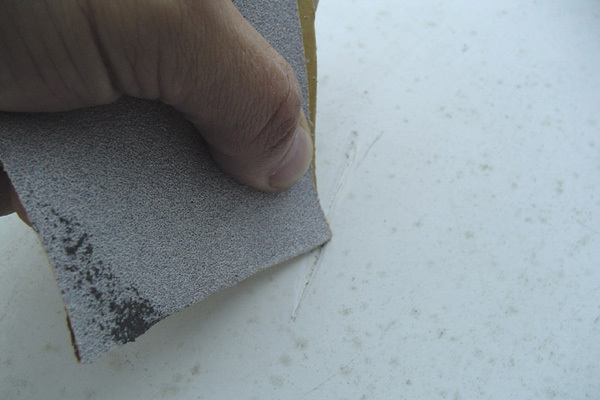 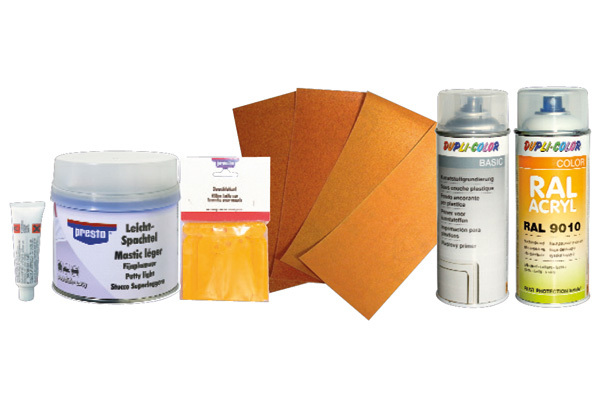 Remove the remaining plastic from the edges and sand down the grooves into a v shape with coarse 80-grit sandpaper in order to ensure better adhesion. 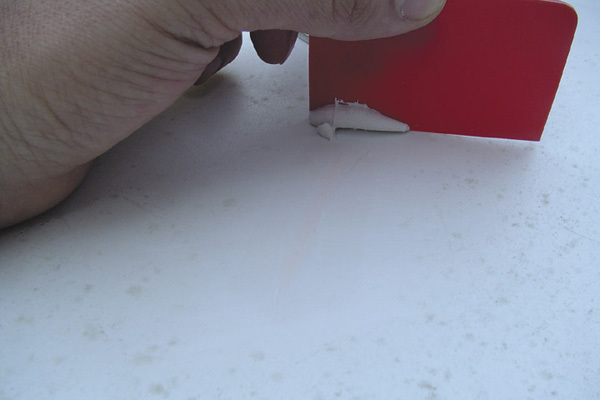 Fill the damaged areas with the mixed material. If the damaged is deep, we recommend repeating the process after 20 minutes. 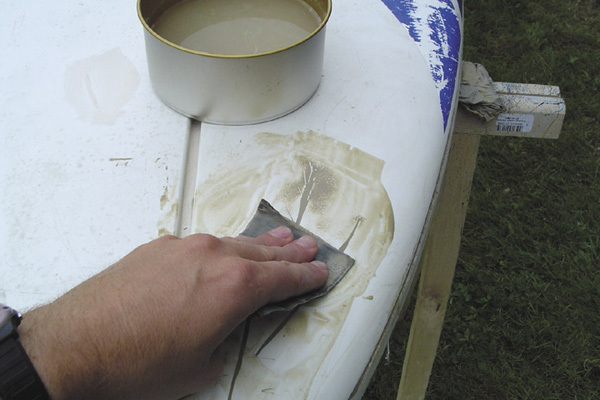 Then sand down the filler and thoroughly clean the surface. 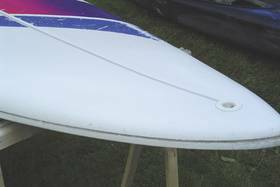 Pre-treat the repaired areas with DUPLI-COLOR Plastic Primer and then paint with white DUPLI-COLOR RAL Acrylic Spray Paint.